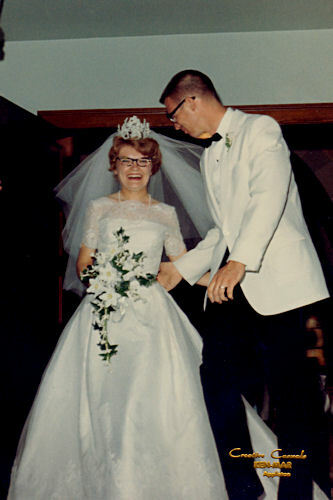 This post was first published on June 23, 2010 and is being reposted because my parents are celebrating their 50th Wedding Anniversary this year. 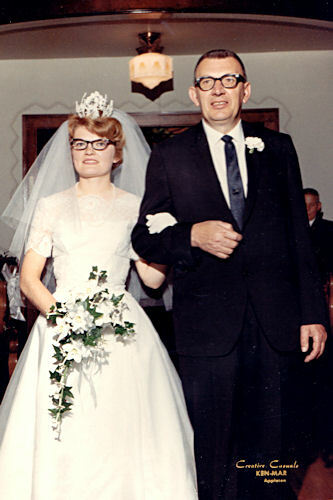 I was a young teen when my grandparents celebrated their 50th, and thought that 50 years was such a loooooooong time. 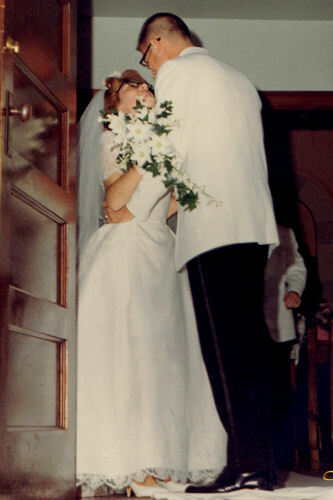 But now that I’m all growed-up and have been married 28 amazing years to the love of my life I think that 50 years isn’t nearly long enough. 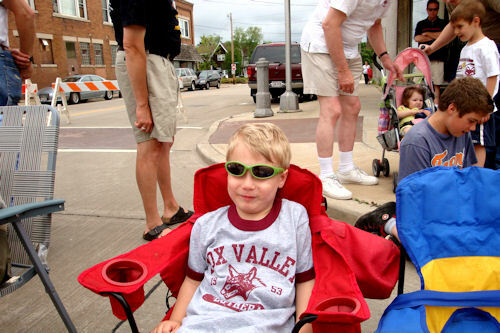 I know my parents feel the same. 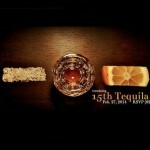 Uncle Jay, Uncle Ike and I are planning the celebration, so stay tuned to see how that goes. In the meantime, I hope you enjoy this repost. 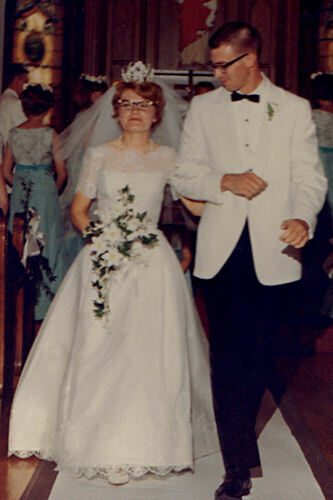 Since I was a little girl I’ve loved looking through my parent’s wedding album, and since their 44th wedding anniversary is this month I thought I’d share some of my favorite photos. 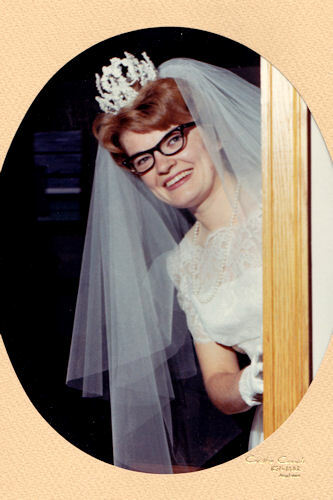 My mom made her own wedding dress, but my grandma picked out the crown and veil. Mom said she never liked the crown but I think she’s beautiful in it. I could be biased, but I don’t think so. Here are my grandma, mom and aunt. 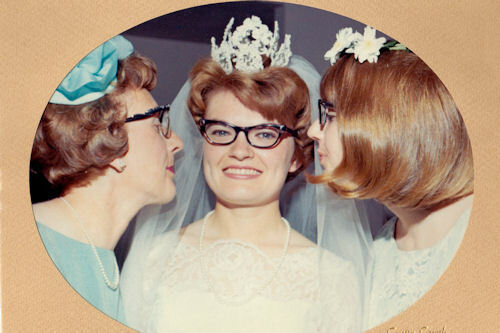 My mom has always regretted not having her older sister as a bridesmaid also, but Sharon was on the heavier side and it “just wasn’t done” back then. I’m glad times have changed! Grandpa looks so handsome (and dapper) in his suit with the narrow tie. Although it’ll be nineteen years this fall since he died it sometimes feels like just last week. 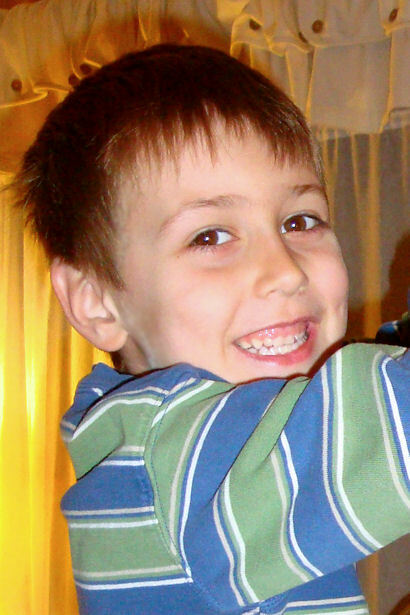 I still miss him terribly. My dad looks like the stereotypical 1960s clean-cut all-American guy. He looks like he should be wearing a letterman sweater. Think they’re just a little happy to be married? This is my Dad’s family. 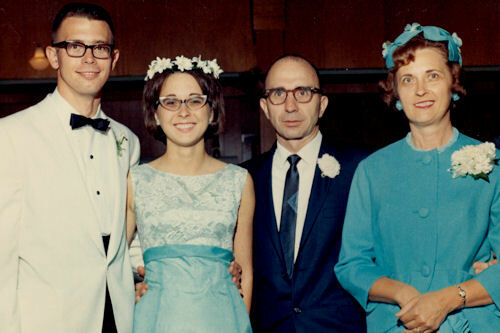 My grandparents don’t usually look so weird – maybe they were in shock from the wedding?? I love my grandma’s matchy-matchy hat, earrings and gloves – it’s so ’60s! 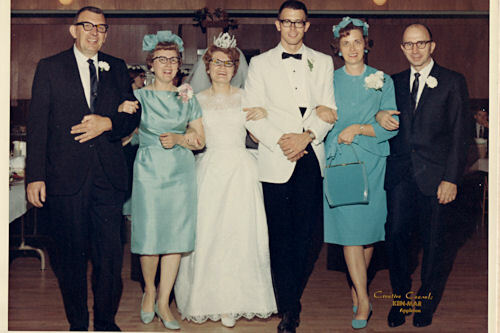 My Mom’s family – again with the 1960s hats. Everyone thinks of hippies and “Flower Children” when they think of the ’60s, but I think the gloves and hat are more typical of “everyday” people. Here are both sets of parents with the bride and groom. Notice how both of my grandma’s have hats and shoes that match their dresses? My dad’s mom even has matching gloves and purse. 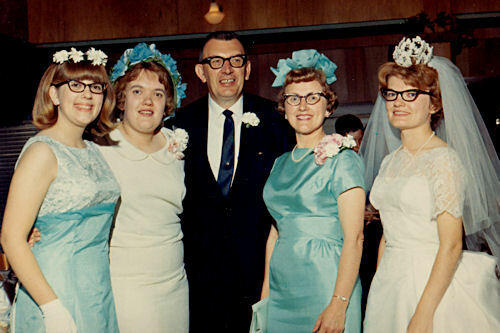 I never asked Mom if my grandma’s chose aqua to coordinate with the bridesmaids or not, but I’m guessing they did. 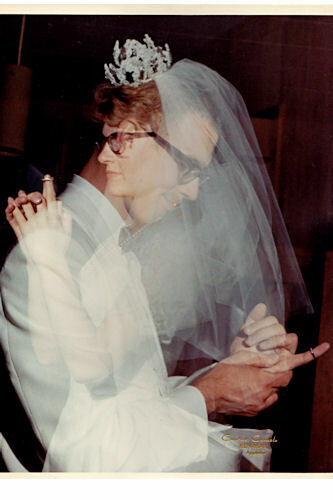 This is my all-time favorite photo from my parent’s wedding. 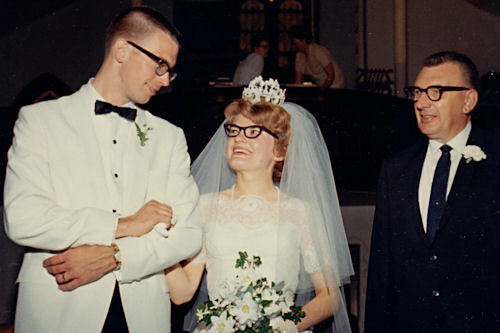 I especially love the look on my dad’s face – he still gets that expression when he looks at my mom. I’d asked Princess and Cowboy’s photographer to do a similar thing for them but she didn’t know how. I’m guessing it could be done with layers in Paint Shop Pro, but haven’t taken time to try yet. 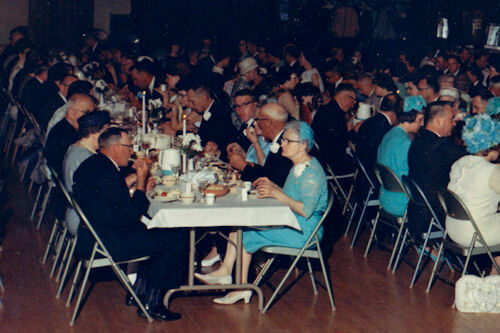 This is what a small-town Wisconsin wedding reception looked like in 1966. The two older couples on the near end of the table are my mom’s grandparents. I’m guessing Great Grandma wore aqua on purpose too. There’s a LOT of aqua in the crowd! The family-lover in me enjoys picking out familiar faces at the tables, while the history-lover is fascinated with the clothing, shoe and hair styles. Another of my favorite photos. 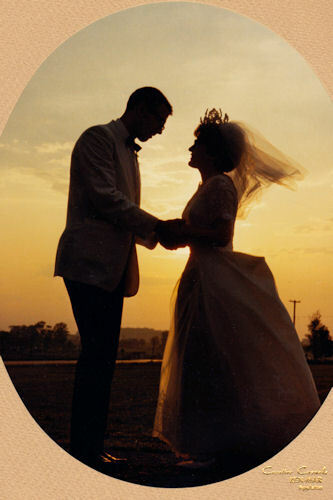 I think Teacher and I had a similar one taken at our wedding; I’ll have to dig out our album and look. Oh my goodness – are those little cupids on the cake? In all the many, many times I’ve looked through their wedding album I’ve never noticed that until today. Eeep! 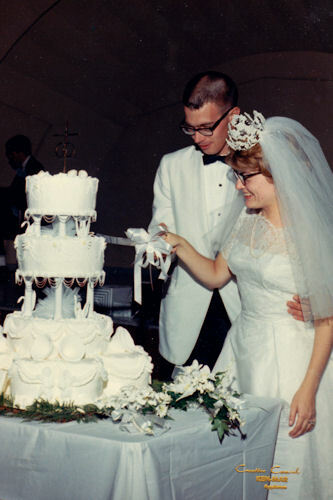 A familiar wedding tradition; cutting the cake. The knife they used was a “favor” from one of my mom’s sorority formals. Another of her sorority “favors” that I thought was really cool was a lamp with the sorority letters on it. 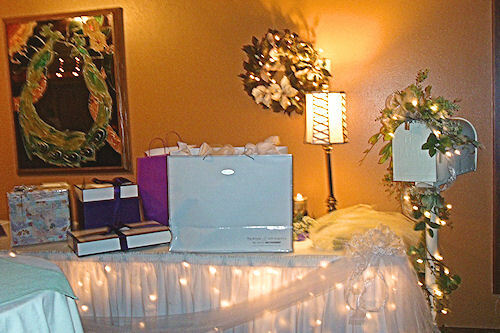 Yes – they got lamps for formal! 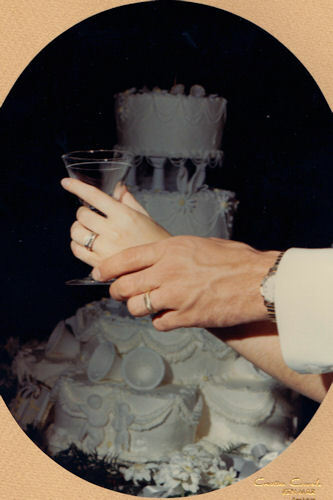 When I was in college our formal “favors” were wine glasses, shot glasses, beer glasses… It’s interesting to consider the sub-conscious implications of a lamp and cake cutting knife vs the implications of booze glasses, isn’t it? 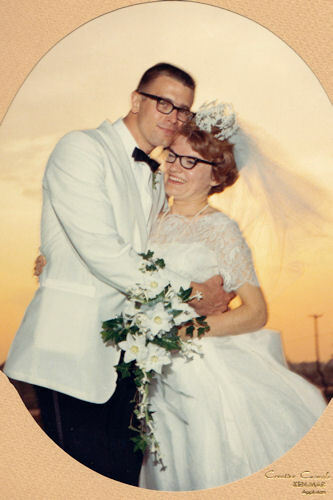 Happy Anniversary Mom and Dad, and may you be blessed with many, many, more happy years together.